The 2019 Volkswagen Golf is the latest model in one of the most storied lineages in the automotive world. The sharp and sporty styling is quintessentially modern, yet clearly has its heritage in the many generations of successful styling in the Volkswagen Golf past. The 2019 Volkswagen Golf clearly speaks the same design language as the rest of the stylish current lineup from VW. However, the 2019 Golf has accents all of its own. It is well-equipped with striking and useful exterior features. Possibly the most noticeable exterior feature on the 2019 Volkswagen Golf is the standard LED daytime running light setup. These lights provide a futuristic white glow that looks cool, while also making your vehicle more visible to other drivers. The 2019 Volkswagen Golf also has heated sideview mirrors that can burn off condensation on those muggy South Florida mornings. The 2019 Volkswagen Golf even has standard alloy wheels, which is more than many of the competing vehicles in this segment can claim. Check out the stylish 2019 Volkswagen Golf at Vista Volkswagen Pompano Beach today. Schedule your test drive through our website without leaving the comfort of your own home. 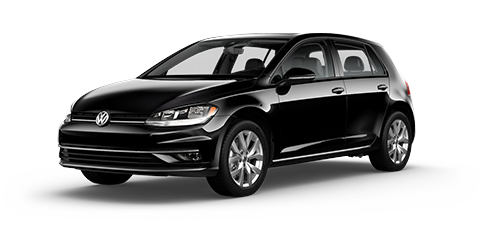 Volkswagen is known for producing vehicles that blend premium materials and cutting-edge engineering with comfortable practicality. The cabin of the 2019 Volkswagen Golf shows that they continue to strike this rare and unique balance with their latest vehicles. The stylish layout and high-quality materials used throughout the vehicle create a premium ambience that makes the 2019 Volkswagen Golf a pleasant place to spend time. Of course, the features are just as important to the occupant experience as the style. The 2019 Volkswagen Golf features a leather-wrapped steering wheel that gives drivers a little hint of luxury every time they take the vehicle out, even if it's just for the standard daily commute. This steering wheel goes perfectly with the standard leather-wrapped shift knob. Few competing vehicles in the 2019 Volkswagen Golf class have both a real leather-wrapped steering wheel and a leather-wrapped shift knob. The 2019 Golf even enhances its practicality by including a convenient standard split-folding rear seat design. Experience the premium interior of the 2019 Volkswagen Golf when you come into the Vista Volkswagen dealership in Pompano Beach today. Take a test drive and discover your new dream car. Learn more about the innovative occupant protection technology in the 2019 Volkswagen Golf when you stop by Vista Volkswagen Pompano Beach today. We offer both car lease and auto loan options to make it that much easier to drive away in your dream car. The first-generation Volkswagen Golf was the original "hot hatchback," and the 2019 Golf continues this legacy of performance in a compact and practical package. Unlike some competing vehicles that use naturally-aspirated 3-cylinder engines, the Volkswagen Golf has something much more powerful in store. Reviewers have called it one of the best engines in the class. The standard 1.4L turbocharged 4-cylinder engine in the 2019 Volkswagen Golf kicks out a sporty 147 horsepower. This engine is paired with a standard 6-speed manual transmission that gives the driver maximum control over the vehicle. The 2019 Golf has a safe and stable front-wheel drive system that is tuned to also allow dynamic handling. 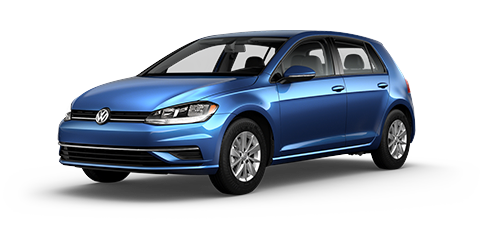 Take the Volkswagen Golf out for a drive at Vista Volkswagen Pompano Beach today. The 2019 Volkswagen Golf approach to technology sets it further apart from many competitors. It includes several impressive tech features as standard specifications, while many competitors only have their best technology as expensive extras. The technology in the 2019 Golf is also quite ergonomic, as it is simple and intuitive. The 2019 Volkswagen Golf displays most entertainment information and alerts on a high resolution 6.5-inch touchscreen. The proprietary Volkswagen Car-Net® App-Connect uses this screen. With this system, drivers can link their smartphones and run many different apps, such as music and navigation apps. The 2019 Golf also includes standard Bluetooth® connectivity. Drivers in Fort Lauderdale, Coconut Creek and elsewhere in the Pompano Beach, FL area can try the tech in the 2019 Volkswagen Golf for themselves when they come to the Vista Volkswagen dealership in Pompano Beach. You may able to get your 2019 Golf with a car lease or loan. Speak to our finance associates today about your options.